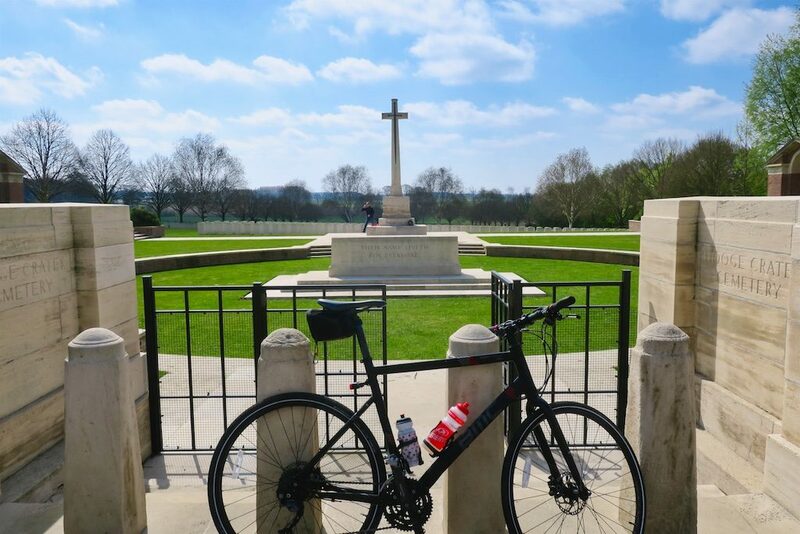 One of the more special days of our Flanders trip was cycling the Ypres (Ieper) Peace Route, riding past many World War 1 cemeteries, monuments, and museums. Many thanks to the military historian Jeremy Banning who helped me plan the visit. I was with some Podium Cafe friends (Jens, Jimbo, Megabeth, Chris, Drew, and Susie). 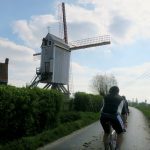 We would leisurely ride the well-signed 45km route adding another 10 kms or so with various detours to worthwhile sites. 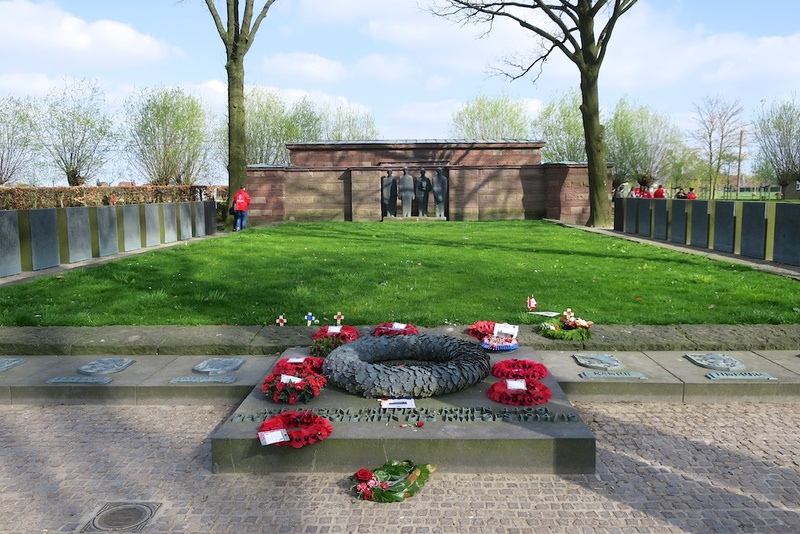 The route starts and ends in the Ypres Grot Markt – the main square. 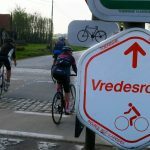 It is signed as the Vredesroute (Peace Route) in a counter-clockwise direction. A route map with lots of useful information can be purchased for €2 at the tourist office. 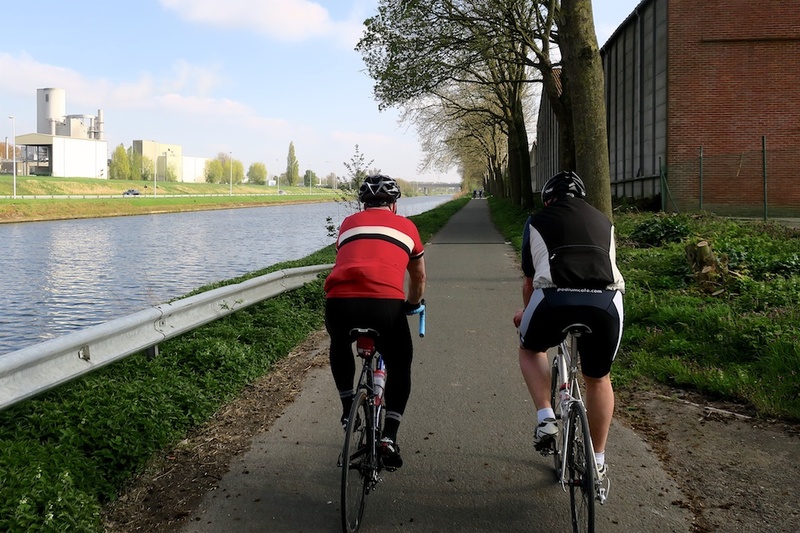 We began by leaving Ypres through the Menin Gate joining a bike path along the Kastelgracht – the old town moat. Much of the route is on dedicated bike paths, and the balance primarily on quiet roads. It is pleasant and easy (flat) cycling. But it is also a sombre, moving experience. Endless cemeteries with thousands upon thousands of headstones (far too many with unidentified soldiers or multiple soldiers). 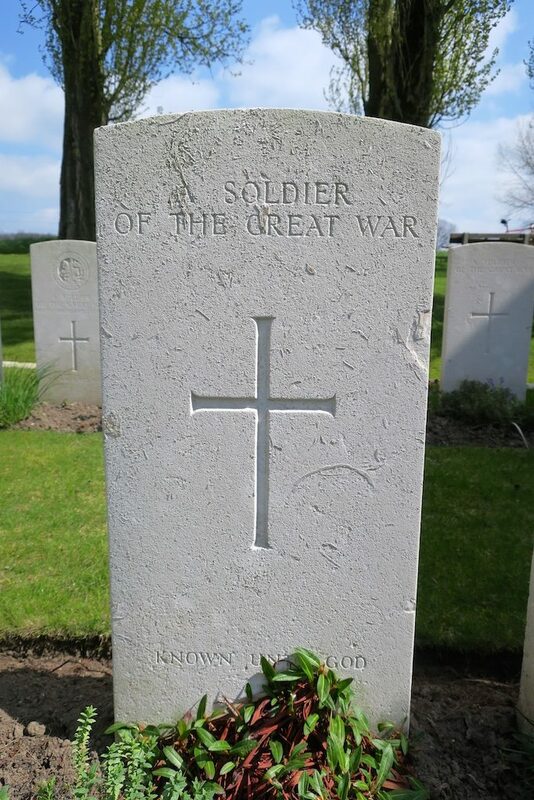 It is a depressing testimony to the pointless slaughter of World War 1. 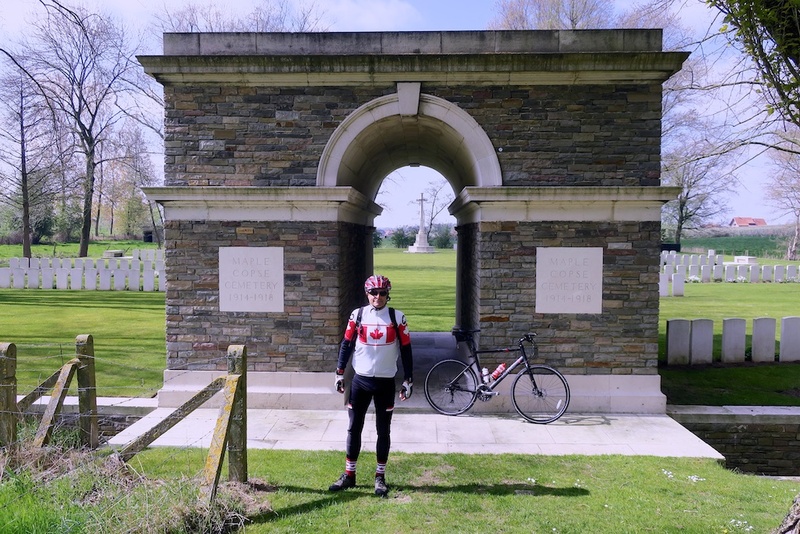 Most of the cemeteries along our route were for commonwealth soldiers, beautifully maintained by the Commonwealth War Graves Commission. 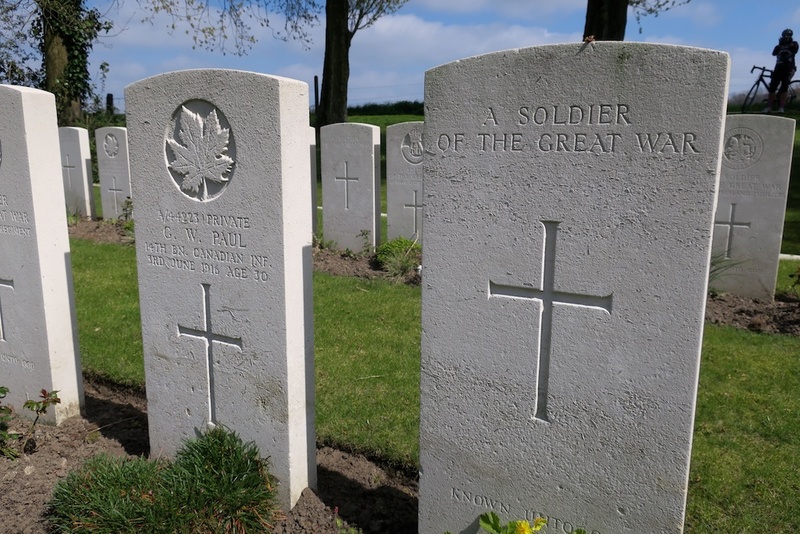 We would pass several large groups of Canadian visitors in part due to the numerous Canadian cemeteries/monuments in the area and partly due to the 100 year anniversary of Vimy Ridge. In fact, Prime Minister Trudeau was in the region yesterday visiting Canadian memorial sites. I’ve marked many of the most important and largest sites on the map above, but we also visited many beautiful and poignant small cemeteries along the way. 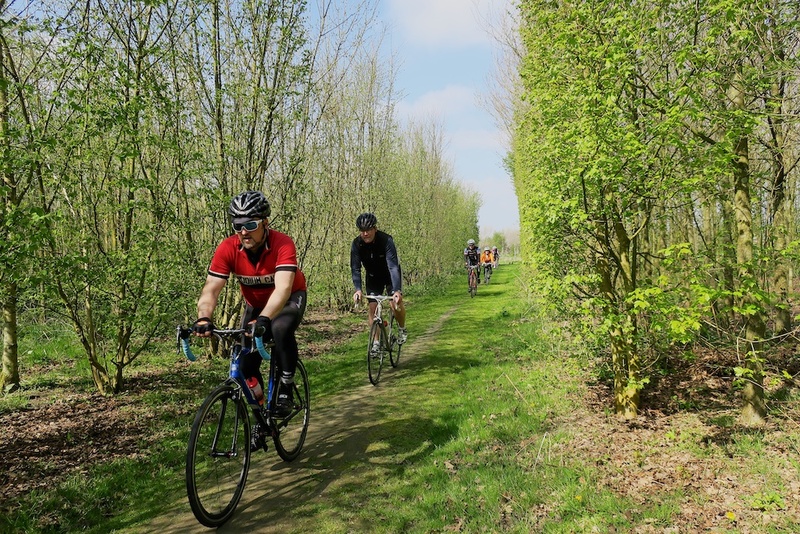 There is much more cycling to be done in the region. 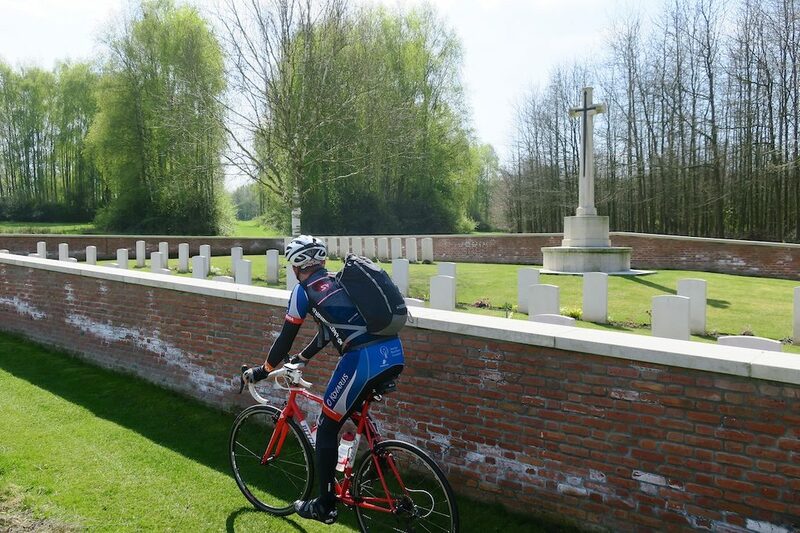 See this site for a list of World War 1 cycle routes. 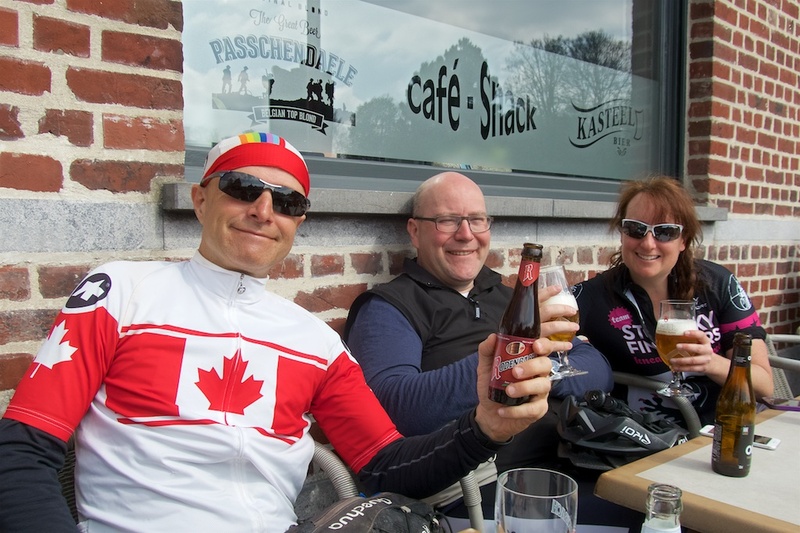 We stopped near the Passchendaele Museum for lunch enjoying yet more excellent Belgium Beer. A nice elderly couple from Winnipeg were confused by my Canadian kit and so many American accents, so I threw an “eh” or two into a couple of sentences to make us all feel more at home. 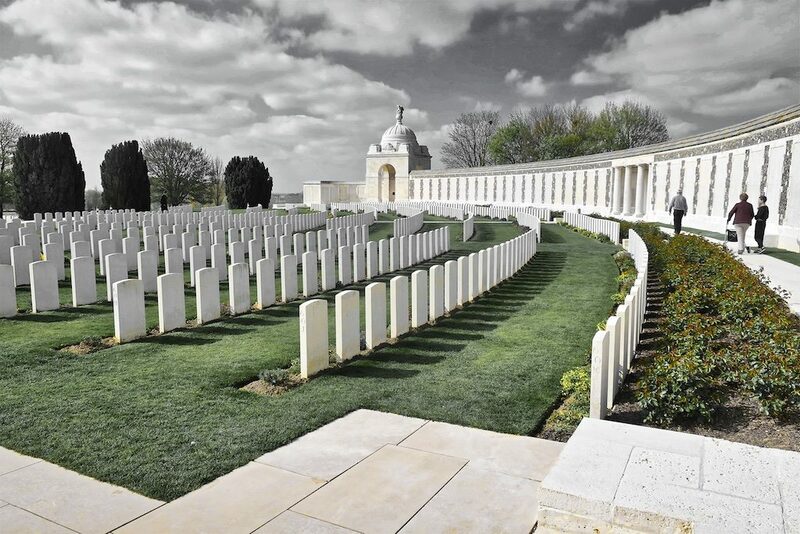 The Tyne Cot Cemetery is depressingly huge but beautiful. 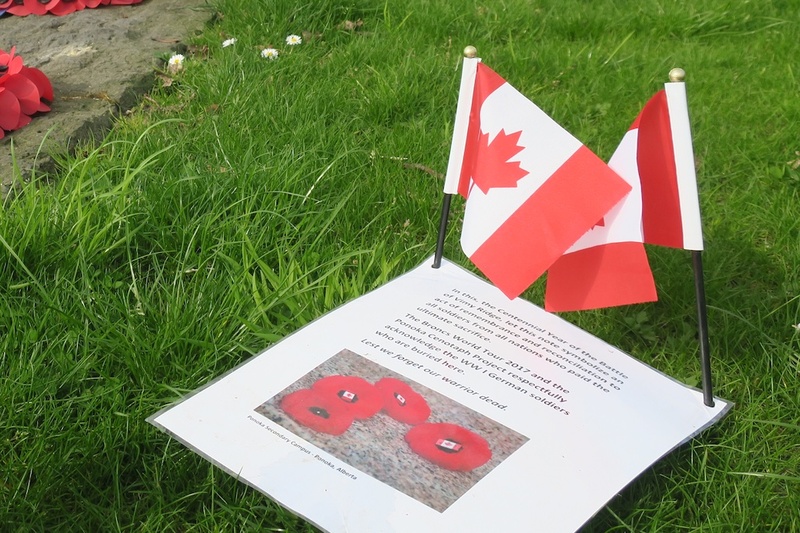 I somehow missed the giant Brooding Canadian monument, but we made a point of visiting the Langemark German Military Cemetery containing over 44,000 soldiers. Many of the gravestones contained 15 or so names. Awful. The final stretch of the ride includes several kilometres along the Kanal van Ieper – very nice. 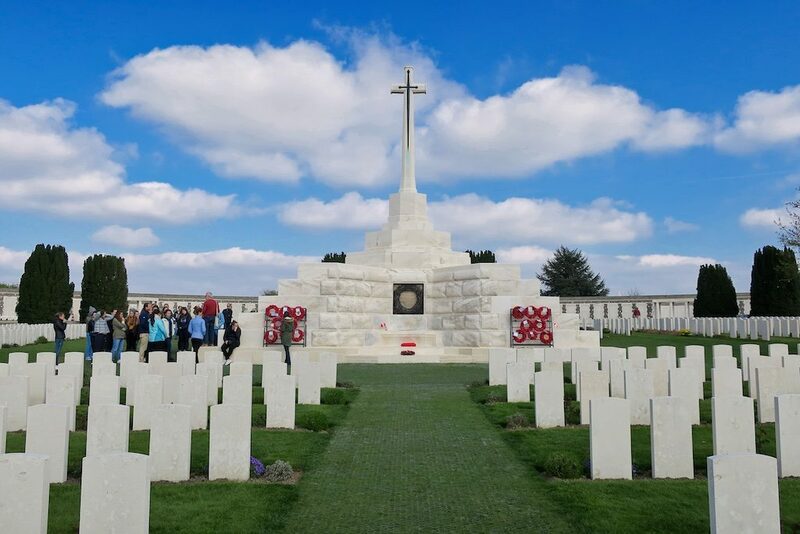 We were unfortunately in a rush to meet other commitments so we had little time to explore Ypres. But again, there is plenty to see and another visit on bikes may be in the cards. 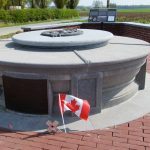 My wife and I visited this region 18 years ago with a good friend who had served in the Canadian military. We went by car. But as evidenced by today, cycling is the perfect (and better) way to leisurely explore this historic region. 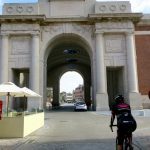 Wonderful Will, I have occasionally thought of doing a similar bike ride myself having driven The Somme with my Kiwi Father in Law. Maybe one day when the kids are older. 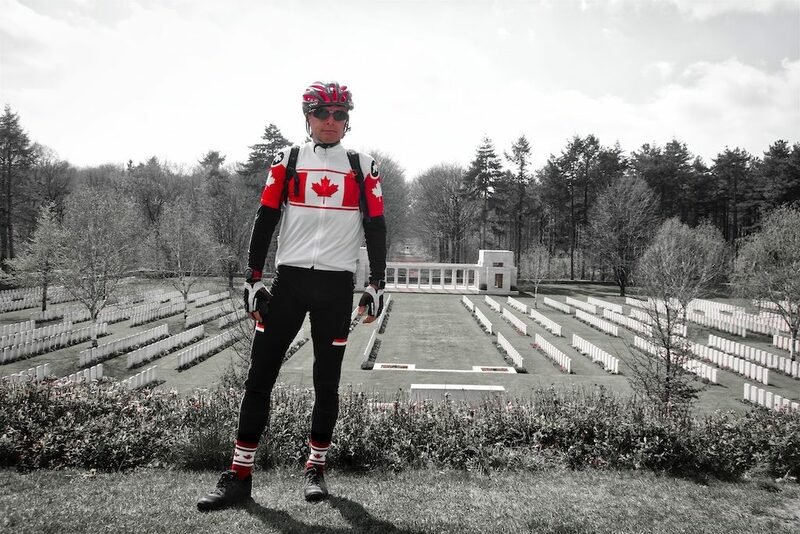 Extremely moving… good for you with the maple leaf maillot as well!